There are many forklift brands and a wide variety of capacities. However, when it comes to the rigging and heavy moving world, there are only a handful of fork truck companies. Major brands are CAT, Royal, Taylor, Towmotor, Versa-Lift, Hoist, Riggers, Riggers Special and maybe a handful of others. Hyster sold many air tired forklifts commonly used by riggers. In fact, many from the 1970’s are still in use. I recall using our Hyster 460 for years all the way until my father retired from the moving business. Used large capcity forklifts for sale have become harder and harder to find because of the economy picking up. Common rigging capacities for forklifts are 15,000lb to 120,000lb. Right now, the most common size is 30,000lb to 60,000lb capacity. The high demand for these machines has made the used market dry up. Auctions for larger forklifts haven’t really been that good for those hoping to get a deal. We’ve seen prices go sky high, when the reality of it is that the prices from a used forklift dealer would have been less. The most sought after brand, at this point, is Versa-Lift forklift. They can get around in tight spots with high capacity abilities because of the extending rear counter weight. 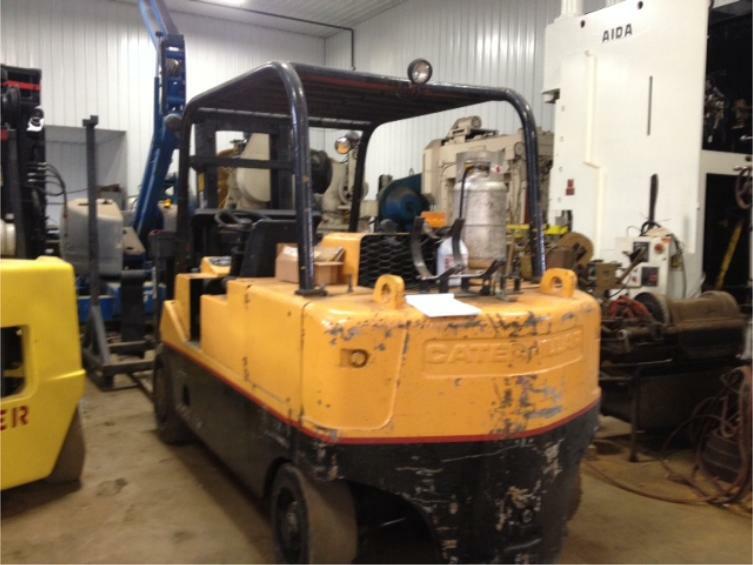 Because of the popularity of Versa-Lift forklifts, they are very hard to find used. If you do find them used, they can sometimes be priced higher than new cost. This is because there is a 2 year waiting list for these machines at the date of this writing. Of course, there are other brands that now have extending counter weights. Hoist makes one now.